It’s an online trend to have a blog now a days on the thing which intrigues you a lot. Like suppose if anyone loves to write something on a particular topic then he or she can be a good blogger to earn some revenue. Most of the new bloggers just forget about the basic requirements of a blog and thus they are unable to surpass other professional bloggers who look into everything and earn their way to the success. 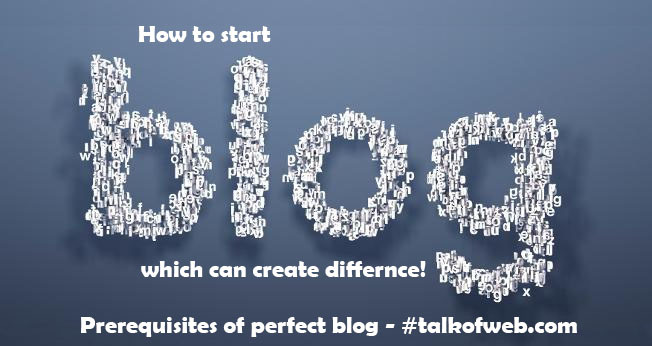 This article aims on how to start a blog and just the very basic things have been aimed here! There are various blogging platforms to be used for writing and publishing the stuff online in the blogosphere. 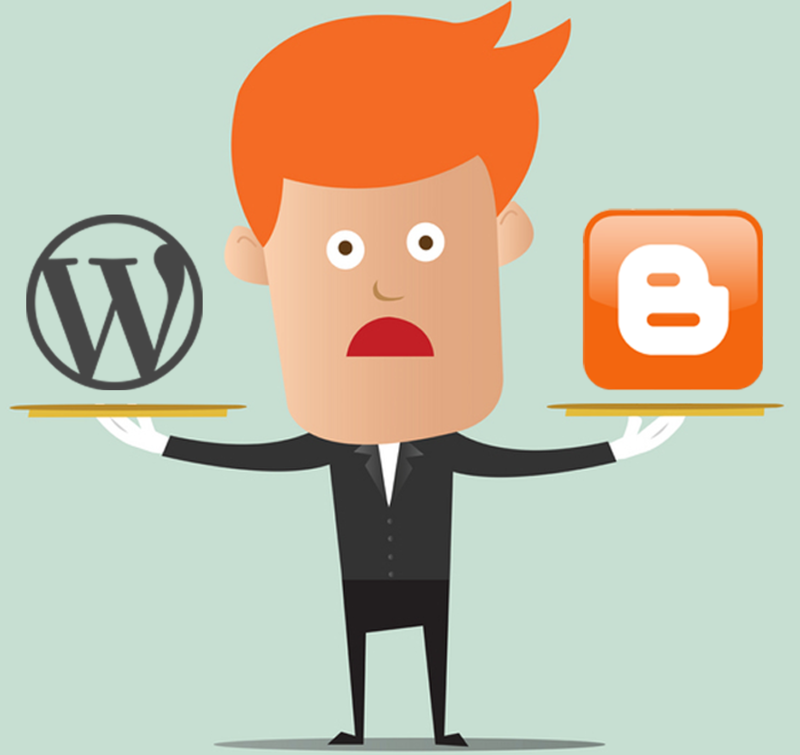 The most popular blogging platforms are the blogger and wordpress. Many newcomers tend to use the free blogspot blog or else the free wordpress blog which I will call as self hosted since such blogs are not hosted on your own hosting but are rather hosted on the servers of the providers like blogger or wordpress. Now, either you use the wordpress or else the blogger the key of the success is the perfection. This article will not tell you that what is going to be better for choosing the blogging platform but it just aims to tell you that you are going to need a blogging platform to write the stuff and publish is immediately in the blogosphere. Thus either you go for the blogger or else you go for self hosted wordpress blog which is going to use your own hosting, the choice is yours but there is more freedom into the wordpress self hosted blogs and there are also good for the beginners. Don’t you bother there will be a detailed article on whether to go for the wordpress or else to go for self hosted blogs. So, below are the prerequisites which you will need after having a blogging platform. The following things are must used by the popular blogs and thus are recommended for newbies bloggers too which don’t know about the marketing that much, since all the below things once completed will just enhance the user experience of your blog. A proper navigation with contact me, about me and other stuff like that! 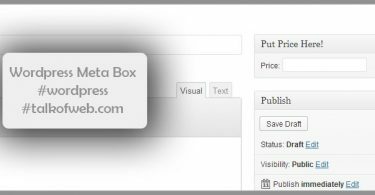 An email subscription form to let users subscribe to your blog in order to receive the latest posts by email directly in their inbox. Sharing buttons are must to be added to your blog posts which will increase your share counters and will help you get viral, since ease is the key to the success. A proper and professional blog logo is necessary which must be clear in the header, you can choose whether to go for the minimal logo or else to go for the a heavy look logo. The blog posts must be symmetrical in the layout and the blog can have a sidebar if you want to show off other stuff in the sidebar like, suppose if you one post get indexed in the google then you start getting hits on that post, with the recent posts widget in the sidebar you will be able to show off your recent posts without having him to click on the home button of your navigation. The posts must have a good thumbnail and you must have a clear idea about what are you going to write. Your blog must have the linked social media pages or platform which you have made for your blog on facebook, google plus and twitter. You must have all the main categories in your mind to write a killer description of your blog, since you must be aware that what are you going to present to the public through your blog. 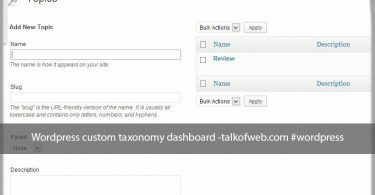 Thus, all the elements must be present in your theme and in your plan before starting out a professional blog, if you are a newcomer then you can learn all the things, I am going to have them in this blog one by one, thus you can subscribe to talkofweb if you want to receive all the latest posts. Your blog must have a good commenting system, I recommend that whatsoever platform you are using, your blog commenting system must be genuine or I must say real one and that must not be a third party commenting system with lots of other options which just increase the spammy comments. Like most of the commenting system has the real time comment updating, that is best but again you must allow the registered users to throw the real time comments to just reduce the spam. The headings present in your post body must be well defined, like the h1 tag must be largest in the size, the h2 tag to be bit smaller and the last h3 tag to be the smallest of the all, you can have the as many heading tags as you want for your blog. One thing you must keep in mind that you must have a unique heading design as compared to the theme of your blog, the headings must be bigger in size with good fonts used and proper css3 applied to them, then in this case your readers of the blog will enjoy reading your blog. Your blog must have a proper pre planned color scheme to be used in the theme. You can google for the best colored blogs and easily you can get a list of the blogs which have a cool color scheme. Keep in mind that a better color scheme which is also unique will have a killer effect on your readers which come to read your blog. Try to use light colors don’t go into that much bright colors like purple, but sometimes purple also suits well with a combination of the white. So, look at your niche and then decide the colors as well as the logo. Don’t hesitate to take opinions from the master bloggers. When you have all the above things done, you must have a proper branded social media pages on the facebook, google plus and twitter. I will explain the features of a well branded page in the next upcoming posts. Also don’t forget to link the pages with your blog so that people may have a good chance to add your blog into their circles too. Plus, you must present your social media pages using the proper social media icons on your blog. A blog is not a copying machine and all the new bloggers must be aware of this fact. You must not copy the content from the other sites and you must not support the plagiarism because it is not going to help you in any ways. Google is going to hate you for using the copied content, you can also face penalty from DMCA and they can also take down your copied content. Also you will not be able to create a respect of your blog among the readers. I am not saying that you should start to invent totally new thing but the old things must be used along with something new, you must be a master in your field on which you have decided to blog. I will be updating this list and all the things are followed by all the professional blogs, but if your content is really best then surely you are going to gain the success in blogging. I will cover all the above things into the sub articles. Thus, don’t forget to subscribe to talk of web.